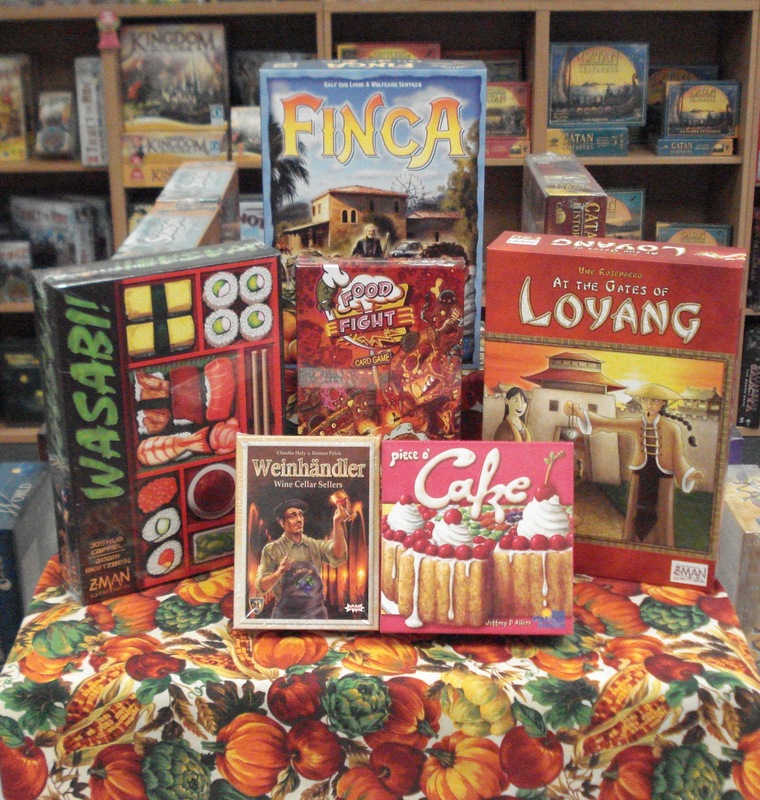 Let us help you set your Thanksgiving Table with a little holiday fun. Here are a few of our food-themed games that we have on the shelves. No holiday meal would be complete without fruits and vegetables. Take a serving of fruit with Finca. Next, go for your veggies At The Gates of Loyang. On this table we have a main course in Wasabi! Your Thanksgiving toast will be with a glass of wine in Weinhandler. The feast will finish with Piece o' Cake for desert. And, to make sure that everyone gets their fair share we have Food Fight for mediation. We are open on Black Friday and Shop Small Business Saturday. Make it a day and come on in.